Readers, it’s been a weekend of love – a friend’s wedding yesterday and an early Valentine’s Day lunch for us today. 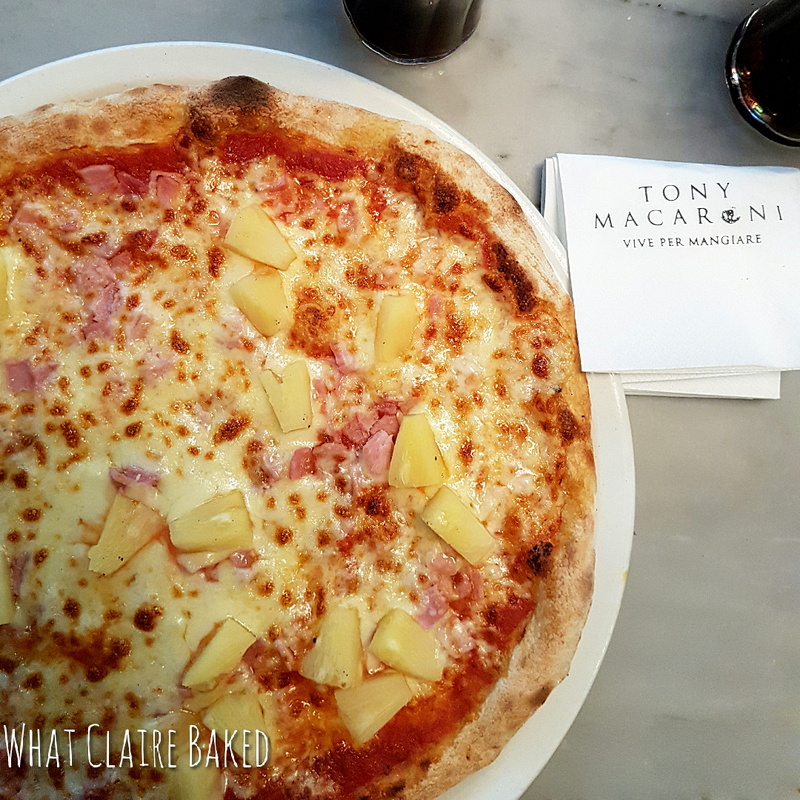 We were asked in January to visit the new(ish) Tony Macaroni at Glasgow Fort so decided to pop by today on the way home from Edinburgh, to enjoy a bit of lunch and a spot of shopping. Kevin, our lovely server, showed us to a table up a few stairs, which was a bit quieter than the main floor – the restaurant had a really nice buzz for a Sunday lunchtime, including some happy 6 year olds having a party. We were offered the main menu or the two or three course Sunday Presto menu – eyes bigger than bellies, we considered the 3 courses for £14.95, but in the end, only managed two after some epic sized portions. £10.95 per person, plus two soft drinks each, came in at just over £30 for both of us – good value and we didn’t leave feeling hungry. I started with the mozzarella bites – my favourite whenever I go. 4 bites arrived, with a chilli tomato sauce and side salad. They were crispy outside and full of gooey cheesy goodness inside. For the over 18 readership, feeling slightly fragile after a late night, these sorted me out right away. Mr What Claire Did was all about the pollo fritto – chicken strips, deep fried with a herby batter and served with garlic mayo. As usual, the wandering fork made it over the table. Also delicious. Next up, we went for pizza. We’re in an Italian restaurant with a big stone oven… it would be rude not to. I also have a terrible confession to make. I’m part of the pineapple on a pizza club. I believe it’s got its place with ham. As I wasn’t sharing, I went all out and ordered the Hawaiian. 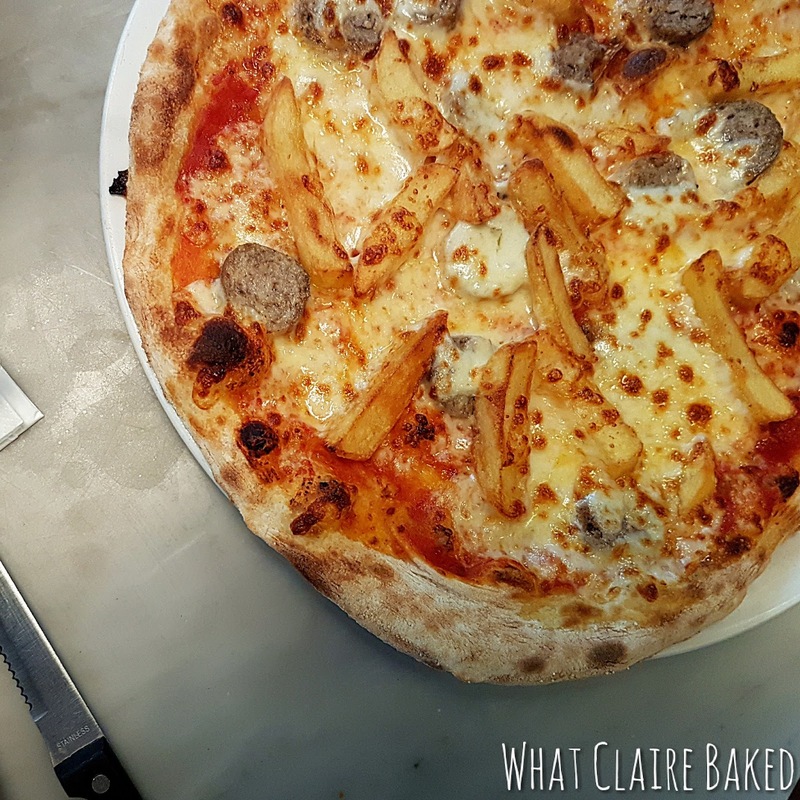 Mr What Claire Did was so excited to find a pizza that came WITH FRIES ON IT that he couldn’t not have it. Pizza Tirolese just in case you also feel the need to order something served with cheese, sausage and fries on the top. Pizzas galore... spot the fries on the one below! The food arrived quickly, was hot and fresh and Toni Macaroni have a great initiative – to prevent food waste, they’ll give you your extra pizza away with you for a small donation to Cash for Kids. 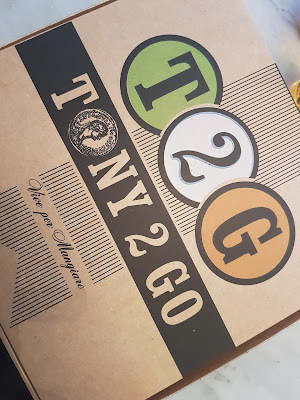 Our Tony Mac pizza box arrived with our extras inside. We’ll be enjoying it as a snack dinner shortly. Bonus – we’ve saved the cost of food for dinner tonight as well! All in, the restaurant was clean, service was efficient, but not rushed and we had a bit of time between courses to let our starters settle before the pizza arrived. The layout of Tony Macaroni at Glasgow Fort has an open kitchen, so we enjoyed watching pizzas going in and out of the oven and up onto the pass. At £30.00 for lunch for two, including 2 soft drinks each, for the amount of food we got, it was great value. Tony Macaroni (for all you other lovers out there) has a special menu running for Valentine’s Day, including a pizza served with edible flowers! Find out more about Tony Macaroni on Twitter, Facebook and Instagram. 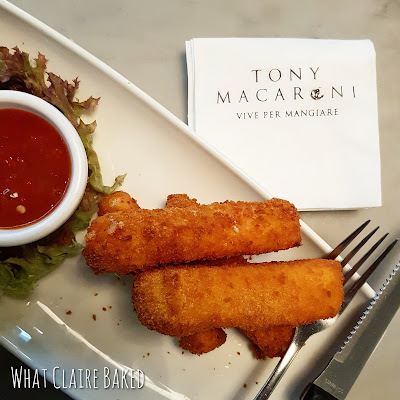 Disclaimer: we were given vouchers to visit and review Tony Macaroni at Glasgow Fort. Any opinions expressed are my oen. Greetings After a Thai Adventure!